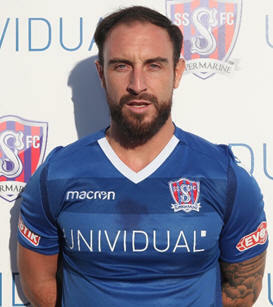 Profile: Brad returned to Marine for a third spell with the club in December 2017 from Evesham United having previously joined in 2011 from Forest Green Rovers and in 2013 from Hungerford Town. Having spent the 2011/12 season at the Webbswood Stadium he left the club for Hungerford Town at the start of the 2012/13 season. He also made the same move in 2014 but was back with Marine before the season kicked off. This time he joins us from Evesham United having left us to join North Leigh in September 2016. Brad plays up front and has good technical skills, a quick turn of pace and is always looking to get on the end of things.